Phil Mickelson leads the PGA Tour in par-3 scoring, one of the more impressive stats the 46-year-old has tallied this season. Henrik Stenson ranks in a tie for 114th in that same category. 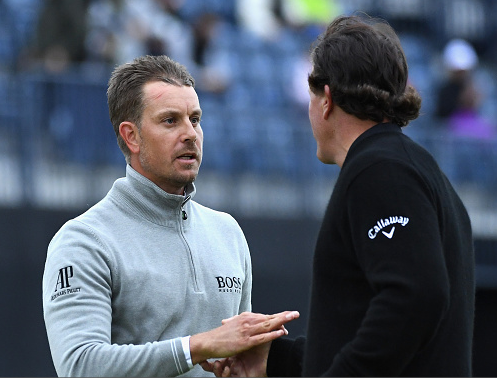 Yet, it was the 40-year-old Swede, Stenson, who took great advantage of the two back-nine par-3s to make the most significant move on moving day at The Open: a quick hop from second place to first, and now he has a one-stroke lead over Mickelson going into the final round. This is the first time Stenson has been a 54-hole leader at a major. Feeling good after a -3 (68) -tied for the lowest round of the day- Stenson hopes he can finish the job tomorrow and achieve a bigger first: becoming the first Swedish-born golfer to win a PGA Tour major. Despite the original field of 156 players, Stenson’s only serious challenger might be Mickelson. Stenson is at -12, Mickelson at -11, and the third place golfer, American Bill Haas, is at -6. Great deficits have been made up before, but for Haas, or any of the other players on the first page of the leaderboard, such as Andrew “Beef” Johnston (-5), J.B. Holmes (-4), and Steve Stricker (-3), to come away victorious, they will likely need a hot start to prevent this tournament from turning into a de facto match-play round, which it largely felt like today. Stenson got off to the better start of the two players, with birdies on three of his first four holes, but gave back two shots on the front nine with bogeys on 6 and 8. Mickelson was much more steady early-on, with one birdie and 8 pars on the front nine. Mickelson would keep his scorecard blemish-free until a short missed putt on the par-3 14th hole lipped out. Stenson birdied that same hole, which resulted in a two-stroke swing, with the duo tied for the lead. A long birdie putt on 16 led to an emphatic Mickelson fist-pump, and another one-stroke lead. However, that lead only lasted one hole, as the par-3 17th invoked deja vu from 14, as Stenson birdied and Mickelson bogeyed. Matching pars on 18, in spite of a poor approach shot that Mickelson imputed to loud camera clicks, Stenson and Mickelson finished their rounds below par, a great accomplishment in poor conditions. Both Stenson and Mickelson put on a back-nine clinic, at a course where the field had more than 2000 strokes on the back nine compared to the front. The highlight for Mickelson came on the difficult par-4 12th. He sliced his tee shot, an iron, into a grose bush, and had to take an awkward stance. He was able to knock the ball back onto the fairway with a powerful swing that had to go through the bush. Stenson went birdie-free on his back nine. Mickelson had the two bogeys, but was still pleased with the performance, or at least the result. It will be a fascinating final pairing for the two, who have both reached a high of #2 in the world. Stenson is currently ranked 6th in the world, while Mickelson is 19th. Three years ago at The Open Championship at Muirfield, these same two players finished 1-2, with Mickelson coming out in front. Mickelson has not won since that tournament. Inclement weather ended up not being the only obstacle the field had to overcome today. Due to high winds, the greens were not mowed or rolled. This made it tough for players to judge the speed of the greens. Mickelson remarked that it was a factor for him. Iron play this week has made the most significant difference for the two PGA Tour veterans. Stenson is #2 in the field in GIR, Mickelson #4. 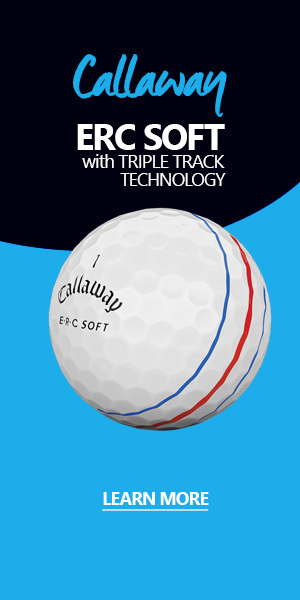 That is not surprising for what had been hyped as a ball-striker’s course. Stenson will attempt to hold off Mickelson and capture his elusive major starting at 2:35pm local time. And while Stenson might be facing more pressure than Mickelson, both will need to stay on top of their games tomorrow if they want to win. Like every year, nothing comes easy at The Open Championship.